Help us build an adventure for youth! You can help us fulfill our mission of offering a quality Scouting program to every eligible youth in our community. In fact, you are a very important part of our success. We rely on parent and community support because we receive no national or state funding. The Friends of Scouting campaign raises funds from people just like you committed to seeing the Scouting program thrive. Parents, family, friends, peers, employers, and companies alike can make tax-deductible gifts to support youth in our community. 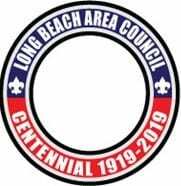 The Long Beach Area Council is a 501(c)3 organization recognized by the IRS. We operate on charitable contributions from people like you. We have earned a rare, 4-star charity rating from Charity Navigator, the leading independent non-profit evaluator. What or who is Friends of Scouting (FOS)? You, me, and everyone. Friends of Scouting is the name given to our annual giving campaign raising funds from people like you committed to seeing the Scouting program thrive. Parents, family, friends, peers, employers, and companies can all make tax-deductible gifts to support our Scouting program. Simply put, we ask families to support us to cover the true cost of the program. True cost? Yes. What most members of Scouting don’t see are the hundreds of thousands of dollars paid annually to have a Scouting program here in the Long Beach area. Things such as Camp Tahquitz, Sea Base, rank advancement record keeping, newsletters, webpages and other communications to keep us all connected. In addition, we pay National BSA franchise fees, insurance fees, software fees, and other costs that we are not allowed to pass on to Scouting families. Instead, we ask for your voluntary support. The true cost to operate Scouting locally is more than $580 per Scout per year. Wait, but haven’t I paid my dues already? Yes — but none of that money stays local. Your $33 membership fee is collected locally but is sent directly to National BSA. They use that for research and development; marketing, training materials, and national high adventure camps in New Mexico, Minnesota, Florida, and West Virginia. What about my Pack or Troop dues? Right again — your Pack or Troop probably collects dues for their annual expenses too. Things like outings, awards, equipment, activities, food, transportation, and materials. This money stays with the Pack or Troop. So 100% of your dues either go to National BSA or stay in your Pack or Troop. None of that benefits the Long Beach Area Council who provides the opportunity to be a Scout in this area as well as support, activity and training programs. Ok, so what does the Long Beach Area Council spend money on? Below shows you just a small sample of the costs to run our local Scouting program. We ask for your support because we are not allowed to mandate any fee above and beyond the $33 membership fee that is collected by us and sent to the National BSA office. Just so we are clear, the Long Beach Area Council is member supported. So you ask parents to pay everything? Why not ask business or other people for money? Who is the Long Beach Area Council? The Long Beach Area Council is one of 265 councils (think of franchises) of the Boy Scouts of America independently operated to run Scouting programs in the greater Long Beach area. We serve over 3,600 youth and 1,400 registered adult volunteers like you. We are a 501(c)3 organization in good standing recognized by the IRS. Additionally, we have earned a rare 4-star charity rating from Charity Navigator, the leading independent non-profit evaluator, and have been named to their Top 10 Charities Worth Watching in the United States. From experience we have found that most donors give from the heart knowing they make a difference in an organization in which they believe in and may even benefit from. More often than not, they do not ask or want anything in return. Giving can be deeply fulfilling. That said, we do offer small tokens of appreciation. For any size gift, we offer a 2019 Centennial lapel pin. For $10/month (or $150 one-time) we offer a 2019 Centennial circle patch. 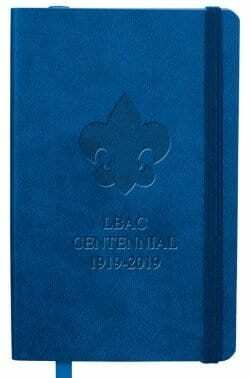 For $20/month (or $250 one-time) we offer a 2019 Centennial debossed notepad. For $40/month (or $500 one-time) we extend an invitation to a VIP reception. Not intended as binding agreement. Subject to change by Camp Management. For more information, please contact Henry or Liz at the Scout Service Center (562) 427-0911.